Fighters of MLKP/Communist Youth Organization (KGÖ) gave an interview on the 50th year of the '68's movement. At the war fronts in Northern Syria, they spoke about the 50 years process of the revolutionary movement of '68 and concrete lessons to be taken from this. You are saluting the 50th year of the '68 movement in the liberated areas where preparation for war is being developed. What do you want to say? Deniz Toraman: Let me start by drawing attention to a point first. There is no limit for the things to be said and written about the '68 movement stamping the universal history of revolutionary youth movement and no matter how much is spoken about it, there will still be some missing points. Such that, while the political and ideological effect of this glorious movement sustains itself today with the same determination, a new generation of revolutionaries upholds the revolutionary flag of '68. And it becomes impossible to put an end to the revolutionary action which is on the move all the time. Although bourgeois ideologues define the '68 movement as "a moment of stumble which has no chance to reoccur", there is only one thing to say to them: the angle of death doesn't care about fear. To understand this, it is enough to look at the endless revolutionary spirit of Polytechnic and Sourbonne Universities firstly, at youth actions inciting flames on the street of continent of Europe, at the young comrades of Che who shine the streets of Latin America with their molotoves and moreover at the geography of Turkey-Kurdistan and the Middle East, where we take place now. The main reason for this emphasis is this. For us, the 50th year of '68 movement doesn't mean to revive the memory of an ancient history and it doesn't mean living with the past or living in the past. On contrary, as much as it is the past of it, the '68 youth movement is also the present and future of the revolutionary youth movement. It is its present because it is one of the most important historical supports shaping us in our action as young revolutionaries today. And of course, it is the future, "another world" with the words of the '68 generation, will be built upon this history. After remarking this, it will be meaningful to start with the slogan which the '68 movement used very lovingly and handed over to us. "Be realistic, want impossible". Here, while this call of commander Che shows the youth of the whole world the necessity of fighting for another world, he strenghthens the determination to the struggle of revolutionary youth. The slogan of "two, three, more Vietnam" turns into the guide of action in a way. And as times went by, the youth's revolutionary struggle for freedom started to meet with the military forms of fight. Let's remember. There is a slogan like a "revolution oath", shouted out with masses after every meeting, which the '68 movement used very lovingly in Turkey like in all over the world. "If our guns will be delivered from hand to hand, if the sounds of machine guns spread wave by wave, death is very welcome for this sake." Thus, in the 50th year of '68, with our guns delivered to us from hand to hand, we are expanding the preparation for revolutionary war. We know that realizing the "impossible" through raising the political military warfare, means struggling against the fascist dictatorship in every field of life. It is a known fact by everyone; while Deniz and his comrades were filling the streets and universities with their revolutionary action, they prepared for revolution in Palestine on the other hand. This is what we are doing today. We can say this, while we are experiencing the joy of fulfilling our revolutionary tasks or the joy that will be fulfilling them, we feel the honor of not leaving the call of Deniz-Mahir-Ibrahim nonrespondent at the same time. How about the '68 movement in Turkey? What was the distinctive lines of it? Taylan Boran: We need to clarify one point. Every section in Turkey's revolutionary movement has had very different views about the '68 movement and the subsequent revolutionary leap forward of '71. More openly, wherever they approach, whatever they see, they also have seen the '68 movement accordingly and evaluated from their own viewpoint. In that sense, the aggression of fascist dictatorship and their henchman writers against our revolutionary tradition is understandable and actually honorable for us. Mahir Çayan, who is one of the leaders of the leap forward of '71, was saying in one of his poems: "don't worry my friend, remember what the master was saying: 'as many arrows as the enemy throws at us, as correct is the path we are on." That's why, each attack against the '68 youth movement from the counterrevolution front, reminds us more how righteous our case is. However, we must underline that alongside the petty-bourgeois intellectuals who shelter to the leftist concepts, some understandings rooted at the ranks of youth movement become the subject of intentional distortion action against the '68 movement and the revolutionary leap forward of '71. The purpose is to weaken a tradition which is completely revolutionary and combatant. These circles aim to hold the young revolutionaries of today within the borders of order while emphasizing the claims that the '68 movement was a harmless, peaceful opposition movement having demands within the system. Of course, they couldn't achieve their evil aims up to now. Because, the '68 of Turkey developed from the course challenging the borders of the system since the beginning and with the leap forward of '71, it provided a solid rupture. While the '68 movement started to lull in Europe or in various other places towards the '70's, it got more militant in Turkey-Kurdistan and with the upsurge of '71, it embarked on the foundation of revolutionary movement. And in the name of rendering the today's revolutionary tasks understandable, two distinctive lines of that period must be underlined. First of these is the insistence of '68 movement on the practical legitimate struggle. All the actions of the era opened holes in the borders of the system, a militant style fighting for snapping their rights was brought into being in the streets rather than only protesting. The youth movement led the whole society in that sense. Its militancy made the actions of workers, land expropriated peasants more militant. Occupations, boycotts, street clashes, resistance against the civilian fascist aggression were the main mode of acting in this period. Revolutionary youth succeeded in organizing the youth movement more massive and more militant by not retreating against the suppression and bans of the fascist dictatorship. This militant determination also conditioned the leap forward of '71. Moving on exactly from this point, from the lines of Deniz, Mahir and Ibrahim, from the revolutionary leap of '71, we have to mention the political-military struggle and revolutionary war. This is the most distinctive aspect of the '68 of Turkey. Starting as a youth movement, the process of '68 unfolded revolutionary organizations, young revolutionary leaders and fighters who aimed at taking the political power in a short time. This leap was a certain victory of revolutionary youth against different opportunist views and reformism which had shadowed the left movement. They, showed that the victory on the path towards revolution could only be gained through politic-military struggle, that the inevitability of standing tall against the heavy prices for this sake through fighting in cities and in mountains by taking up their guns. They told that the revolutionariness had no other way through their actions. And they upheld that famous words up high again: "one cannot be called socialist unless fighting for revolution". The legacy of Deniz, Mahir and Ibrahim has always been a guide for the path of the youth movement. Do you think that the youth movement today manages to carry the legacy of '71? Roza Özgür: In my opinion, it is not possible to give an entire answer to this question. Because the youth movement has different political lines and organizational levels within itself. And among these subjects, just as the ones who claim the legacy and the weapons of the '71 revolutionaries with an honor, there exist also those who want to rasp the revolutionariness of the '71. But apart from this fact, the interesting point here is this: Although there are deep line differences among the youth organizations having the claim of revolution and socialism, all of these organizations present themselves as the representatives of Deniz, Mahir and Ibrahim for the sake of attracting the youth masses. However, what we call as revolutionary is nothing else than the reality itself. And because of this, no one achieves to hide itself by taking a shelter behind the revolutionariness of the '71. That's why, the '68 movement and the leap forward of '71 keep on putting actual duties on the agenda of the youth movement, like a continuous revolutionary action guide. In this point, the criteria are quite clear. "The revolutionariness of breaking with the old" is the name of it, that is, breaking with the order, militancy in the practical legitimate struggle, political military struggle against the fascist dictatorship and the warrior manner. These are the main starting points of action for those who wish to go ahead through the path of Deniz. How about the case of women? Roza Özgür: '68 was also the process in which the consciousness of women liberation had gone out to the streets and grew the struggle against reactionary feudal patriarchal power and all its phenomenons. Today, by leaning on the reactionary fascist traditions of that time, the AKP / MHP fascist coalition is trying to pull women inside houses, to drag them under the shadow of men. As being the sisters of those innominate women heroes of the '68, we do fight against the patriarchal fascist power, expand their dreams and rise the banner of woman liberation for them as well. Just a glance to the streets or schools and universities would be enough to see the existing reality: Those who recommended to retreat from streets against the attacks of the political Islamic fascist dictatorship, those who left universities without fighting, those who gave up their existential cause just not to be arrested, or let me say it more clearly, those who play the deathss, are all of those capable of claiming the women and men revolutionaries of the '68 ? But there are young women and men communist and revolutionaries who are fighting with honor to keep this revolutionary tradition away from being denigrated, the ones who rise the revolutionary banner of the '68 out in the streets, at the barricades. When the revolutionary youth movement leaped from universities forward to the streets with a mass militancy, the fascist state and its reactionary extensions calculated to stop the movement by the Kanlı Pazar massacre. But it didn't happen so, and the massacre attack hit the fascist dictatorship rather than the revolutionary youth. Even though the same accounts continued to be executed by mass enquirers, arrests, attacks on student dorms or even single assassinations, they were all failed. The youth that expanded its masses and militancy did create the process towards the revolutionary leap forward of '71 with its own action. It is true that the course of the youth movement's today really reminds what happened in '68. 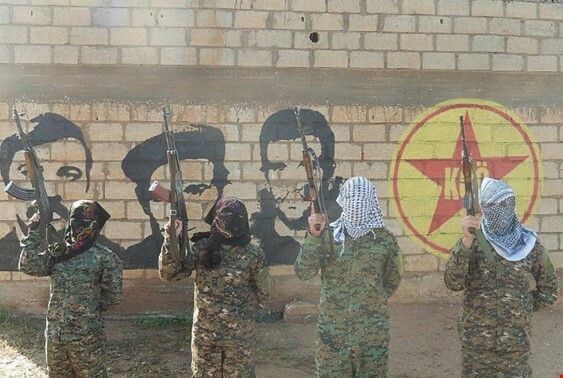 while confronting with numerous detentions and arrests, day and night operations, and every sort of attacks of liquidation, the young communist will, which had responded the Suruç massacre with revolutionary courage, does not surrender the streets and the education fields to the dictator. Along with carrying on its practical legitimate struggle with a militant fighting, the young communists are also aiming to expand the unified struggle, just as the '68 youth movement. And in that sense, it undertakes vanguard roles. And just as how Deniz, Mahir and Ibrahim and their comrades like Kutsiye Bozoklar and Meral Yakar did, the young communists continue their preparations to rise the political military battle for the victory of revolution and carry on its march through fighting at the trenches, falling as martyrs for this sake. No need to worry, the revolutionary flag of the '71 revolutionaries is in the safe hands, in the hands of the young woman and man communists. The young communists will rise their flag in every fronts of the revolution. What are the current duties of the youth movement? Destan Güneş: The revolutionary youth movement is facing with an historical duty like it was in 1968. The main course and duty of the youth movement today is to be the vanguard of the revolutionary democratic movement against the political Islamic Palace dictatorship and to open the path of the social movement almost like an icebreaker. The youth has to place itself on the very fore of every struggle to repulse the dictator, to defeat them and make peoples win. It has to fill the streets with its liveliness and militancy. These are almost the routine duties of all youth which have a revolutionary claim. The revolutionary militants of todays youth movement, who sincerely undertake duties and responsibilities, would all appreciate that, doing politics in old forms with the same behaviors of the passed fails to be sufficient to succeed. We have to describe reality in a true manner; what we are passing through is a new process and this new process is nothing else than the extermination war of the political Islamc fascist dictatorship conducting to supress the revolutionary youth movement. If you don't hold liberal thoughts but hold to your revolutionary claims, then you are at the same time aware that there is no other choice than growing the revolutionary fight against this extermination war. While the AKP/MHP fascist coalition is turning life into hell, not only the life of the revolutionaries and communist, but also of the average democrats or of those adopting secular lifestyle, while they are occupying the political arena with terror as being the bow tied representatives of ISIS, isn't it clear that there is no other choice or path left? It would be right to give a refferance to Stalin. When Hitler's fascist army reached Moscow, the Red Army's commander-in-chief said: "If these fascists demand an extermination war, well, then they will get what they want." Now, the communist youth is responding the attacks of the political Islamic fascist dictatorship, which aim to exterminate and liquidate the revolutionary movement, with the same emotion raised in the fronts of Moscow. It grows the preparations of the revolutionary fight and calls the militants of the revolutionary youth movement to fight at this revolutionary trenches. This call does not only belong to the young communists but also to Deniz, Mahir and Ibrahim. They did not fall back after the coup of 12th March 1970, but both at the mountains and cities, they fought against the fascist coup and became the ones who had inseminated a much greater revolutionary rupture for future. So the task that we have to undertake now is to fight for the sake of the victory of the unified revolution of Turkey and Kurdistan in every field; on the streets, at the barricades and of course at the trenches with our guns in hand. We have our devoted youth militants and our dreams for a free and honorable life that we fight for. Finally in this context, we would like to say our slogan again; "No dreams will be given up!" and call the hopeful "dream followers" to grow the fire of struggle for the victory of revolution.